This symposium, “The Art Market and Money Laundering,” brings together notable experts from law enforcement, the art industry, academia, and financial crimes compliance to engage in a robust discussion on the current state of the art market and laundering, and how more effectively to uncover, deter, and punish laundering while minimizing costs to the industry. The art market is notoriously opaque and unregulated, which makes it particularly vulnerable to this kind of illicit activity. 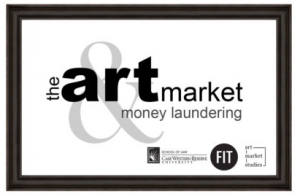 Dirty money, disguised as capital gains on the sale of sale of one or more assets, is laundered by undervaluing art at purchase or overvaluing it at sale, making it difficult for financial institutions or law enforcement to find out. Transferring the value of the criminal proceeds is then implemented by simply transferring ownership of the asset. International standards promulgated by the Financial Action Task Force have been adopted as domestic law by nearly every country of the world, with banks, broker-dealers, payment agencies and other businesses subject to required preventative measures to prevent and uncover money laundering.